A lot of people I know grew up with grandparents who were almost abstractions. No longer needing to avail themselves of job opportunities and leafy suburbs in chilly Chicagoland, they retired to Phoenix or Tampa-St. Petersburg and left their grown children back home. Sometimes their families would visit them, usually in March so they could twin the trip with a spring training game, but living a thousand miles apart, it was difficult for their grandchildren to bond with them. How lucky I was, then, to have spent a great deal of time with my maternal grandparents, who ran radio stations in Chicago and Milwaukee, always too engaged in their work and their family to scuttle off to a condo in Boca Raton. Living just down the road, theirs was my home away from home. It was on their watch that some of my gifts started to show themselves: my reading and memorization at such an early age almost became a parlor trick. “What would he like?”, the waitress would ask my grandpa, motioning to the toddler with bread crumbs on his face. “Ask him,” he’d reply, and I would do just that, politely reading my choice from the menu. (It was usually just chicken tenders. I wasn’t a very adventurous diner yet.) I’d complete the evening’s entertainment by reading the names of the credit cards in his wallet, as if I even knew what revolving credit was or how it worked. I still might not. It was with their keen eye and their generosity that for the first three years of my education, I was fortunate enough to attend a school for gifted children. I hadn’t been diagnosed as being on the spectrum yet, and I have a feeling that some of my eccentric classmates would later encounter the same discovery that I did. Still, we flourished there, under well-meaning teachers and administrators who I’ve come to suspect knew more about Asperger’s syndrome than most people did — perhaps more than they knew they knew. The local public school district fell short of diligent upkeep on the disused grade school building we occupied, and elected to raze it, evicting us. 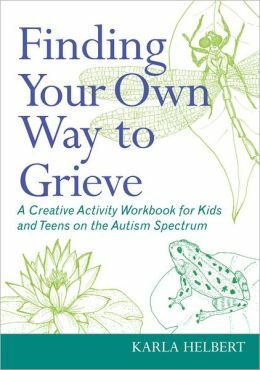 Grieving is hard enough for anyone… As is so often the case, these concerns are magnified for a person on the autism spectrum. Though I couldn’t continue there, my grandparents continued to make sure I had outlets for learning and creativity beyond what the average child enjoyed. When my grandfather bought another radio station in Wisconsin, my family moved up to help him run it, and I was allowed to learn radio hands-on, running around the studios after hours, doing mock radio shows with myself and my imaginary sidekicks. I still have the airchecks somewhere. I am never going to play them back.